Jenny was born in Ryhope, attended Ryhope Infants School, progressing to Juniors, leaving High School at fifteen years old. Jenny passed the Cooperative entrance exam and was employed in the General Office in May 1954. She was chosen to train in the “Tech office”, and worked as a punch-card operator. The system, ITC ,was the forerunner of modern computing and the Coop was at the cutting edge of this new technology. Jenny was employed in the “Tech Office” from sixteen years old until she left at twenty-one years old. She was sent to night classes for book-keeping training but didn’t enjoy this, ledger work rather than computing. After a few weeks, her Manager Mr Wakes agreed she didn’t have to continue going, as she was naturally intelligent and worked competently and efficiently at her position. The Assistant Store Manager at the time was Sir Bobby Mason, who then went on to take over the Manager position from Mr. S L Taylor to whom everyone was in awe. As a vivacious, popular and attractive sixteen year old she led a busy social life. Jenny was involved in many Coop social activities; she was a member of the Netball Team, which trained with the Football team at the local school. She met her future husband, Tom Sharrat, who worked in the Ryhope Coop hardware department on a staff outing to Scarborough. Tom played on the trophy winning football team, Jenny followed to support the matches. 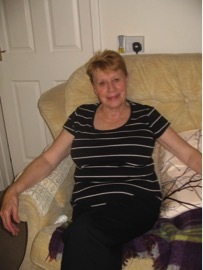 She describes working for the Coop as one big happy family; keep fit classes, netball teams, football teams, regular day trips to the Lakes, Scarborough, Whitby and Blackpool, monthly dances in the store hall, and enjoying going to the “Rink” the dance hall in Sunderland with her workplace friends. In those days when women employees married they were expected to leave the Coop but because Jenny’s position in the Office was crucial to calculating the dividend of each customer, she was allowed to continue working until after the dividend was paid. She had to write to the store committee and was granted special permission. When Jenny and Tom married and set up their own home, they received a 25% discount on their furniture bought from the Coop. This was the only discount or perk given by the Cooperative. She also describes the Women’s Guild Meetings when the ladies of nearby Silksworth and Ryhope would meet. Recalling them all wearing hats (even when taking part in the Keep Fit Classes) and being quite formidable ladies. She remembers the influence of “the Committee”- all men, and likens this to them being the Board of Governors. Her grandfather was one of the committee members, they were all respected members of the local community. She does not recall any female managers at this time. Jenny mentions the cleanliness of the store, the marble staircase in the store was scrubbed every day, wooden staircases polished, windows washed often, and the street and surrounding area were kept clean and litter-free by the men in the various departments, taking pride in the local community. For the 100th Coop Centenary Celebrations, Jenny and Tom were invited to a reception and dinner in Newcastle, where they enjoyed the gathering of former Coop employees from the North East. A memorable occasion, meeting up with old friends and work colleagues. In 1977 when their children had grown, Jenny returned to work, unfortunately the Coop in Ryhope had closed down. So Jenny applied and was employed at Asda, Jenny was interviewed by a previous Coop manager. She is sure this connection with working previously for the Coop influenced the decision, standing her in good stead as a competent and reliable worker. The Coop had an enviable and valued reputation for employing only the best. Today, still with her bubbly personality, Jenny is very active socially, taking part in several community activities; the Over 60’s Club, Keep Fit Classes, local Quiz evenings. She remembers the Coop with affection and happy memories.